2019 sees the 10th running of the Chalgrove Festival 10K which is run in support of the annual Chalgrove Village Festival and we would love you to bring your friends and families along. In previous years there has been plenty to see and do, with many activities: arena displays, funfair, beer tent, food and a dancing sheep. 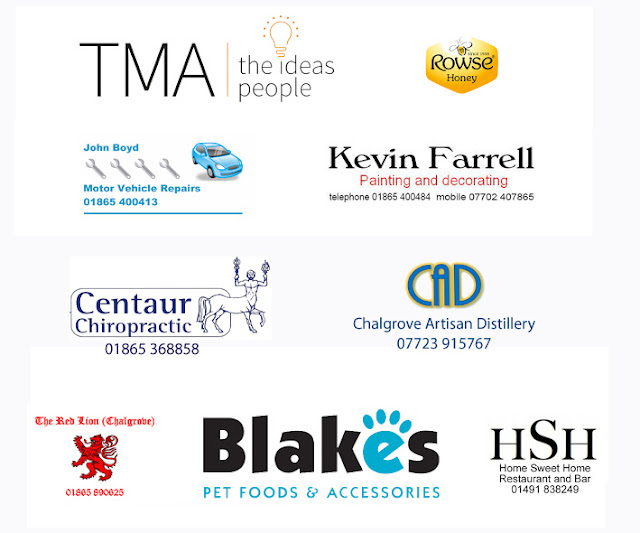 All these help make the Chalgrove Festival 10K a truly great way to spend the May Day Bank Holiday for runners and their families. Why not view our slideshow above to see what we can offer? We are proud to boast one of Oxfordshire's most scenic courses with an undulating 10K single lap race through local villages and the surrounding South Oxfordshire countryside. The start and finish is at the Chalgrove Village Festival ground and there will be a drink station just past the 5K marker. We also provide parking for a small charge (passed on to local charities) which is only 5-10 minutes walk along a country footpath, but if you have friends and family who may have difficulty using the footpath please contact us in advance. As in previous years, Barry Cornelius plans to take photographs of this race for publication on his website http://www.oxonraces.co.uk/ and for possible use by the press. You will be able to download his photos free of charge. If you do not wish your image to appear as a significant part of any photograph that he publishes on the web or provides to the press, please put a large thick red cross across your race number. If you are under 18, please ensure that your parent/carer is happy for photos of you taken at the race to be published on the web. Red markers will be provided at the Race HQ for this purpose. Entries for the 2019 race are now open, so don't delay... Click here to enter! If you experience problems with the entry form failing to open please click here. Once you have entered your details you will automatically be taken to the Payments Page. In case of problems click here to pay. 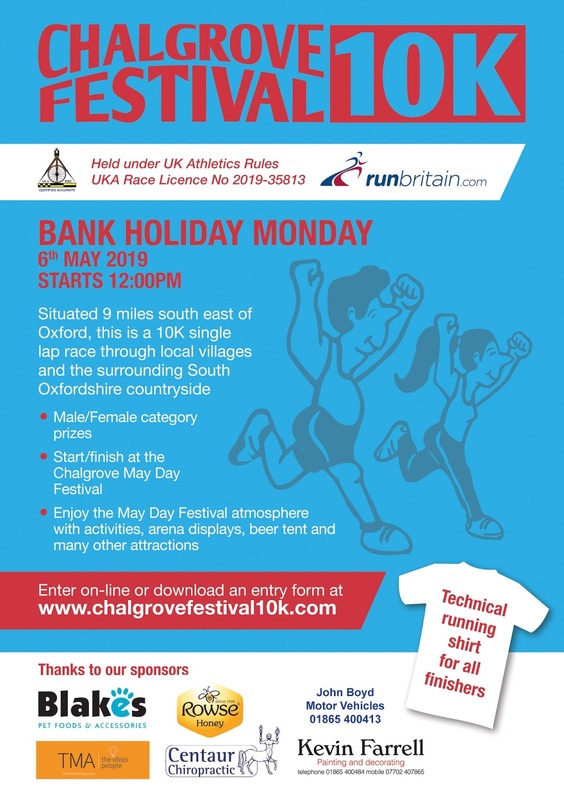 Should you have any problems please email Dave at entries@chalgrovefestival10k.com. "Superbly well organised. From the moment you enter the car park all marshals are friendly, polite and informative. As we know at our Club these events just do not happen automatically, they require a great deal of hard work by a lot of people. It was a big turnout from our Club and I know the reason for that is the organisation and presentation of the Chalgrove 10k. The Festival itself is a superb event." "One of the best organised race I have attended"